Preparing meals at home than eating out is not only healthier in my opinion but also cheaper. You don’t need to spend a lot to eat well. 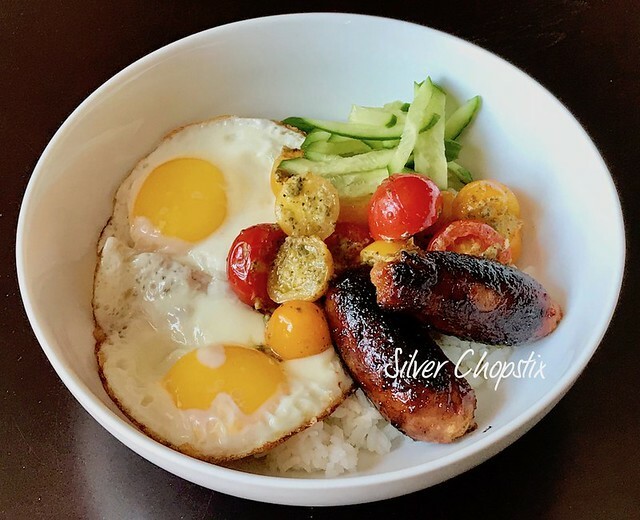 This longanisa rice bowl that I made for my family of four costs roughly fifteen dollars, excluding the rice. If we were to order this rice bowl in a restaurant in NYC or downtown LA it would have set us back 12 dollars per person. 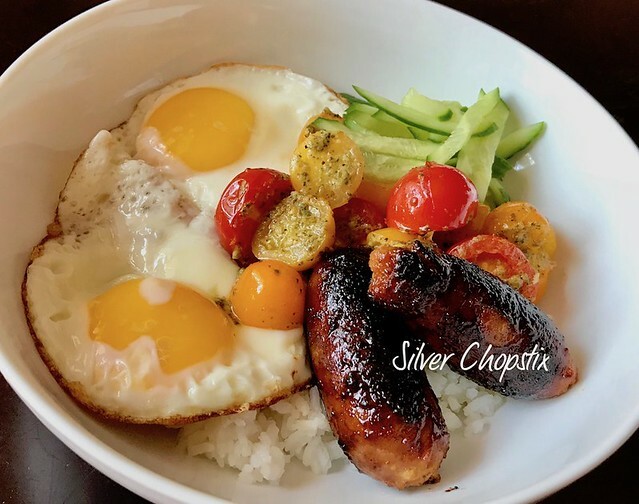 A pack of chicken longanisa from our local Asian grocer was $3.79, the cherry tomatoes from our local farm market was $4.00 a pint, a dozen eggs at Whole Foods was $3.49 and the mixed herb pesto which I already have in the fridge was around 4 dollars. 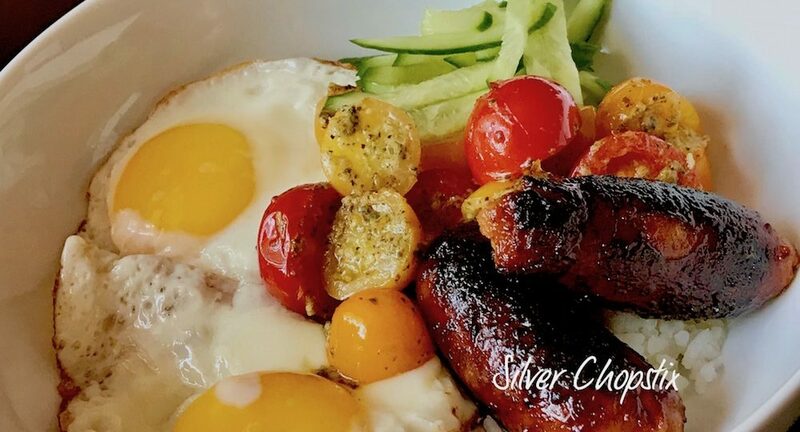 To make, cook your longanisa by placing the links in a pan and adding about 1/2 cup water. Don’t forget to prick the sausages all over with a fork or tip of a small knife. Let this simmer in medium to low heat until done and liquid has evaporated. Add some vegetable oil and pan fry until brown all over. Set aside. 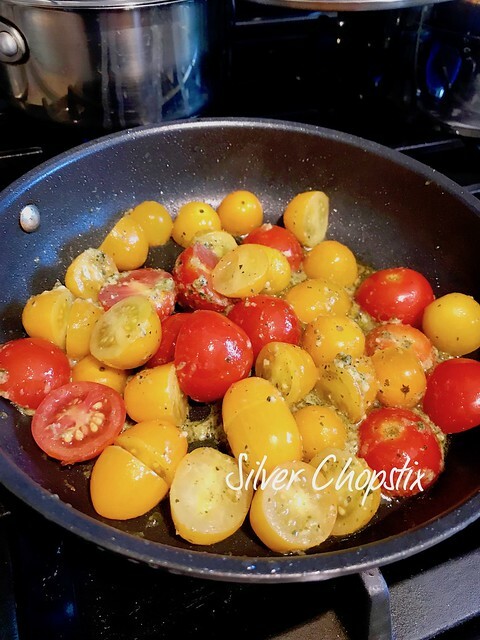 Rinse and dry your cherry tomatoes and cut in half. Place it in non-stick pan and add about 2 teaspoon of mixed herb pesto. Cook over medium heat until tomatoes are softened but not mushy. Then fry a couple of eggs sunny side up. 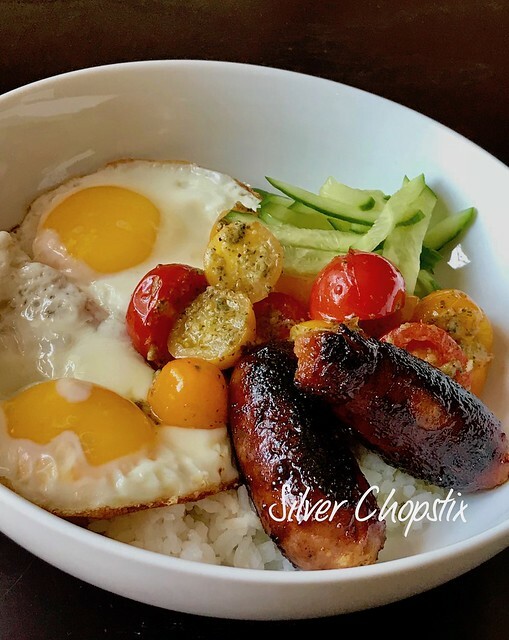 To assemble, place some cooked rice in a wide bowl then carefully arrange your fried egg, longanisa, and cherry tomatoes. I added some thinly sliced cucumbers for color.